The Gastroenterology Group of Northern NJ, LLC (Englewood) - Book Appointment Online! 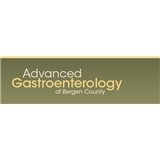 Advanced Gastroenterology of Bergen County, P.A. offers a full range of gastrointestinal care as for all patients and specializes in colonoscopy & endoscopy procedures. Our state of the art Ambulatory surgical center is now AAA certified and all of our doctors and staff pride themselves on being genuine and courteous to all our patients and are committed to the highest level of care. Founded over 37 years ago, our Gastroenterology, Hepatology and Gastrointestinal Endoscopy practice is dedicated to the evaluation and treatment of all digestive system diseases that typically include, but are not limited to, those affecting the esophagus, stomach, small intestine, colon, liver and pancreas. As a growing practice we have included many more procedures such as hemorrhoid banding and capsule endoscopies. Very professional staff. Everyone was friendly & helpful. Dr. Han really took the time to listen to my issues. Together we came up with a positive treatment plan.